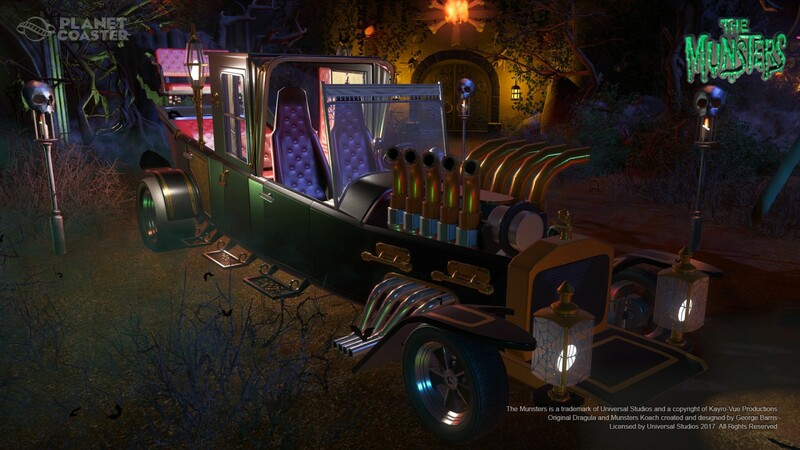 Take a walk in the park with America’s first family of fright with The Munsters® Construction Kit for Planet Coaster. 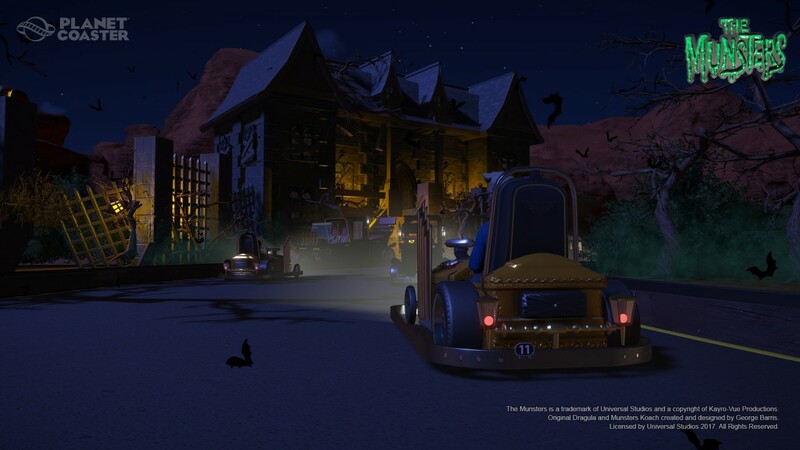 With The Munsters® Construction Kit both vehicles will be available in-game as go-kart racers, 1:1.2 scale scenery pieces and 1:1.8 scale ‘kitbash’ models which can be disassembled and re-assembled however you choose. 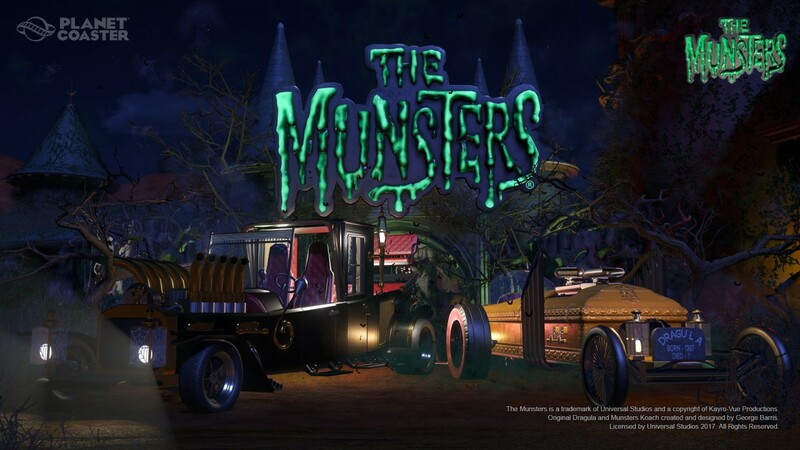 The Munsters® Construction Kit also includes a backlit logo sign and bonus animated FX pieces. 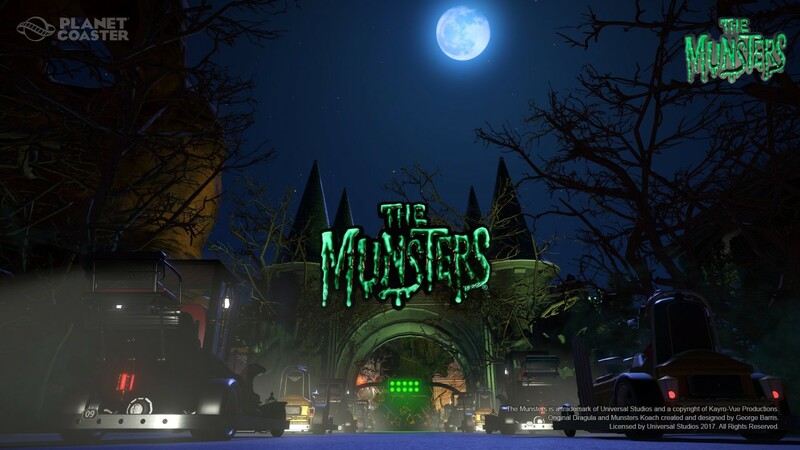 Take a trip to 1313 Mockingbird Lane in Planet Coaster today! 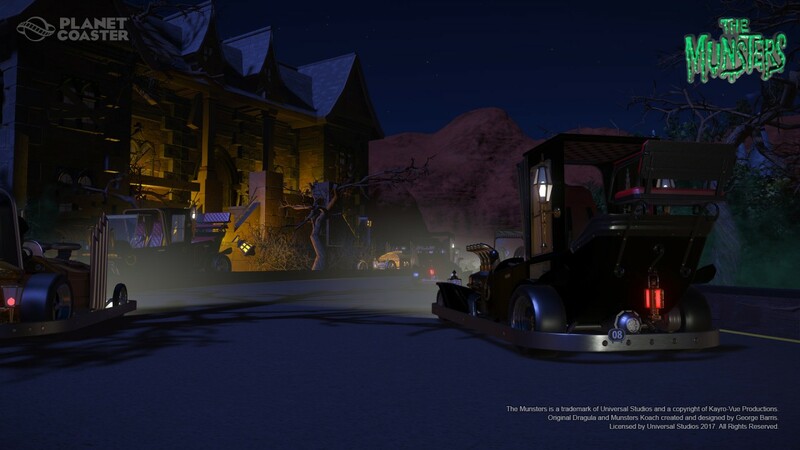 • Miniature Munster Koach kart for ‘Speed’ karting track. 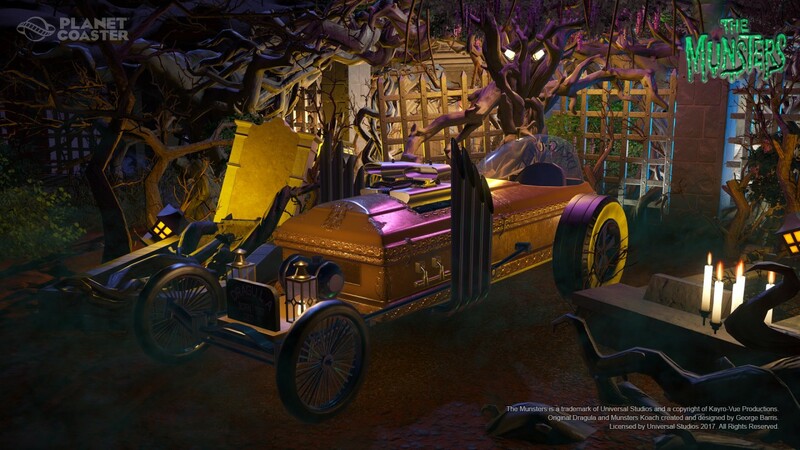 • 27-piece building set for building the Munster Koach and DRAG-U-LA.